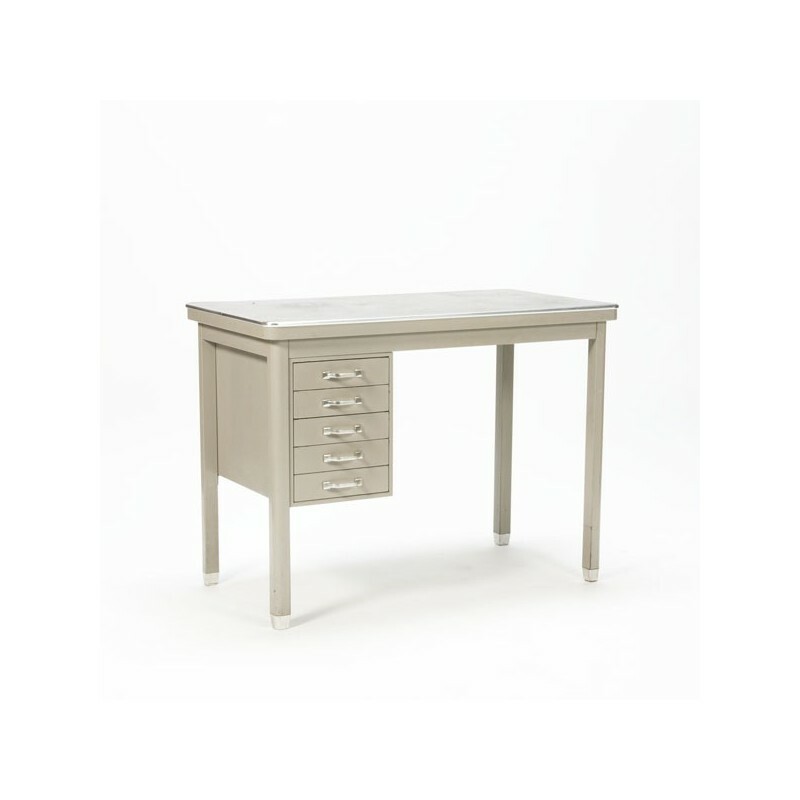 Nice small desk, also called typists desk, most probably from Gispen. 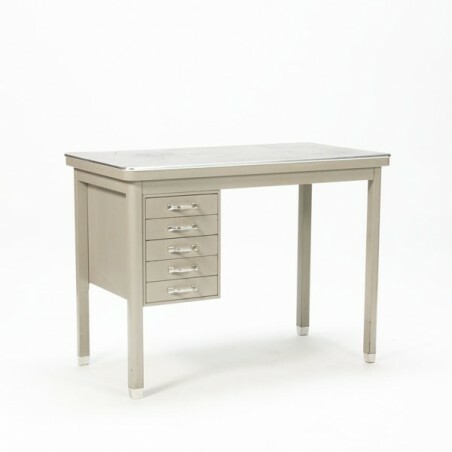 The desk has a linoleum sheet (dark gray) and a gray frame. The conditionis fair considering the age, the linoleum sheet has traces of use, for details, see the pictures.The size is 96 cm L / 51 cm W / 71 cm H.